The other day we overheard two parents talking about “Bit Guardian Parental Control App,” we immediately Googled the app and apprehended the worried look on the faces of both parents’. Yes, you guessed it right! 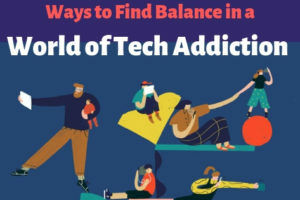 Technology addiction is inevitably the biggest nightmare most parents suffer. Regrettably, social media has taken over photo albums, chat rooms have replaced phone calls, and e-content have substituted for cinema halls. The way technology has infiltrated our lives we may soon be deprived of man-to-man communication. Technology addiction facts are making rounds globally yet we are unable to measure the benefits of limiting social media. We believe only parental control apps can do the magic in saving our coming generation. How to find balance in the digital era? Every human being needs digital detox periods. It may sound silly, but both adults and kids need it. Try observing yourself without gadgets- start with 30 minutes, 1 hour and slowly stretch till a day or several days. Staying without devices or the internet can be tricky in the beginning, but small periods of no gadgets and internet will play the game. Parents need to play an essential role in practicing no gadget days. Be a sport and involve your kids in NO TECH activities like gardening, carpentry, recycling, petting, reading, games and what not! We all have that friend or sibling, who we can trust with our lives. Well, you don’t need to stake your life, but you can use their help in keeping a check on your digital habits. Tell your kids to find the partner in crime and instruct them how they want to progress and where they can control and remind you of your mistake. For example – Avoid seeing the cell phone while talking face to face. Or manage your calling and texting time in the day. Dining tables are not the place for checking emails, offices are! Drink lots of water after you get up, do not check WhatsApp ticks! You might have heard these banters all your life but never paid heed. Well, its time we all do and set the right example for the kids. Every online task, including checking social media updates, has a time and place. Avoid doing such activities in a social gathering. Remember, your attention span matters to the person you are in conversation. Instead of looking for online friends, kids should be introduced to house parties and family get-togethers. Arrange fun activities for kids and rewards for participation and see how your kids relish the socializing time. Invest time for real-life events rather than Facebook events. The closer you come in contact with a human touch, the farther you go from the virtual world. Human relations have no replacement- only time and care is all we need to nurture them. Technology is our biggest enemy but also our prized asset. Taking help of apps like parental control can always bring change in kids’ habits. In the beginning, these apps may sound like a punishment, but eventually, when your kids get entertained by other hobbies and activities, the app will shine like the hero in disguise. Parental control features are created and developed to help parents with combating digital addiction and cutting down inappropriate content. Modern parental control apps not only restrict explicit content but monitor and track kids by GPS enabled tools, The parental app disables the device and restricts prolonged screen time effortlessly. The filters and restrictions in parental control apps are beneficial for your kids right digital upbringing. Changing habits can help your kids in connecting with the world better. Simply put- the more we avoid technology, the lesser we get ignored by the real world. Join your family drama and enjoy close friend’s company. These moments, although captured on Instagram, will never be the same again. So, cherish each moment and live it to the fullest. At the beginning of our write up, we spoke about a parental control app. So, when we went more in-depth into our research, the app seemed to be the ideal solution of technology addiction of today’s kids. Bit Guardian parental control app brings the right mix of controls on the plate. The features are comprehensive and straightforward that even Grandparents and Nannies can use it without getting stuck. The app is installed in both parent and child devices and configured appropriately to track a child’s whereabouts along with restricting applications. We all may deny it; perhaps your child needs you more now than before. Each advancement in technology is adding more pressure and curiosity in your child’s brain. Make a kid’s technology journey smooth and stress-free rather than annoying and regretful. Take charge of their digital life by investing your time and energy into Bit Guardian Parental Control App. family of malware targeting Android mobile devices that has been detected by digital security firm Trend Micro. The malware, named after the ANDROIDOS_GODLESS.HRX filename it uses, uses multiple exploits to root users’ devices. Godless can target virtually any Android device running on Android 5.1 (Lollipop) or earlier. Today almost 90 percent of Android devices run on Android 5.1 or earlier. Apparently malicious apps related to this threat can be found in all over Android app stores, including Google Play, and has affected over 850,000 devices worldwide. Godless is similar to an exploit kit. Both use a type of open source rooting framework called android-rooting-tools. The framework has various exploits in its arsenal that it can use to root a number of different Android-based devices. The two most prominent vulnerabilities targeted by the rooting kit are CVE-2015-3636 (used by the PingPongRoot exploit) and CVE-2014-3153 (used by the Towelroot exploit). By gaining root privilege, Godless can connect to a command-and-control (C&C) server capable of delivering remote instructions that force the device to download and install additional apps without the user’s knowledge. At best, an iunfected user receives unwanted apps on the phones. At worst, the same technique can be used to install a backdoor on the phone in order to spy on the user. Google is apparently aware of the threat, and has stated that they are taking “appropriate actions”. I would recommend that should review the developers listed for apps whenever you download new programs from any app store. You should also be suspicious about unknown developers. All apps should also be downloaded from trusted stores such as Google or Amazon. 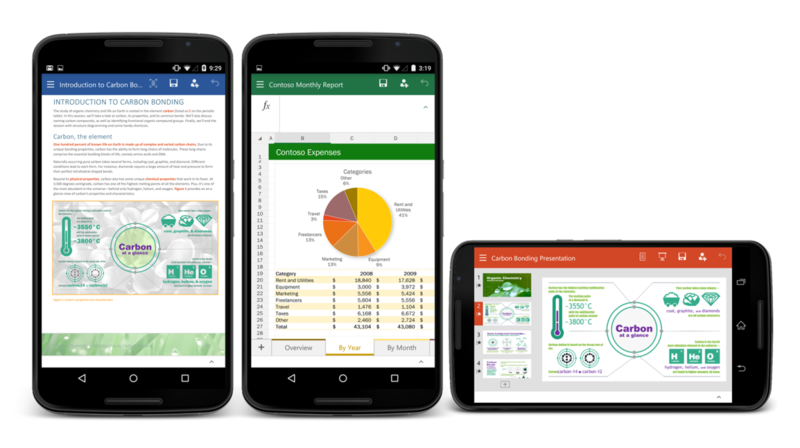 If you are a Microsoft Office user and a Android user today will be a happy day for you. That is because last November, Microsoft released mobile versions of its Word, Excel and PowerPoint office apps on Android, but they were only compatible with tablets. Today, they have added phone support for beta testers.. These are those users who joined the Microsoft Office Preview Community on Google+ and have signed up for the apps you want to try. Once you do this you are then able to find them on the Google Play Store, where the apps have dropped “for tablet” from their name. It is about time that Android Phone support has come to Microsoft’s awesome Office apps and it finally brings Android to parity with iOS and Windows Phone. You can learn more about how to check these apps out below. Many smartphones operate on LTE networks that offer upgraded security features. However they still need to interact with outdated networks that are full of security holes. In fact, the old SS7 network, originally designed in the 1980s, has several flaws that could be used by hackers or governments that want to track or listen in on your calls. Hackers can use SS7’s built-in functions to steal your communication information. For instance, they can request temporary keys through SS7 to unlock calls made through more secure and encrypted networks like 3G. 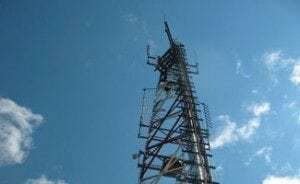 These vulnerabilities continue to exist even as cellular carriers invest billions of dollars to upgrade to advanced 3G technology aimed, in part, at securing communications against unauthorized eavesdropping. But even as individual carriers improve the security of their systems, they still need to communicate with each other over SS7, leaving them open to any of thousands of companies worldwide with access to the network. While German researches are just now making this threat known to the public, some believe that government intelligence groups have known, and used, the flaws for some time now. Your cell carrier could more then likely prevent these hacks by refusing to provide the encryption keys needed to unlock calls made from 3G networks. But, so far the hacks have worked against more than 20 worldwide networks tested by the researchers. Since the hack uses the SS7 cellular network, you are likely safe with [text] messaging systems that avoid it altogether and employ end-to-end encryption like Apple’s iMessage. When making a call, you could use an Internet-based VoIP system like Skype – as long as your Internet network is secure. You could also take German Senator Thomas Jarzombek’s advice. The morale of this story that today, do not consider any conversation on your mobile device truly private. Microsoft’s march to controlling the “devices” side of their new “devices and services” business model continued this week. Microsoft this past year completed its acquisition of Nokia’s Devices and Service’s and this week it was reported that the manufacturer name “Nokia” is being removed from all product references and of course will be replaced with “Microsoft”. There has not actually been any phones released with the new branding so far, but this week Microsoft stated “we are looking forward to unveiling a Microsoft Lumia device soon”. 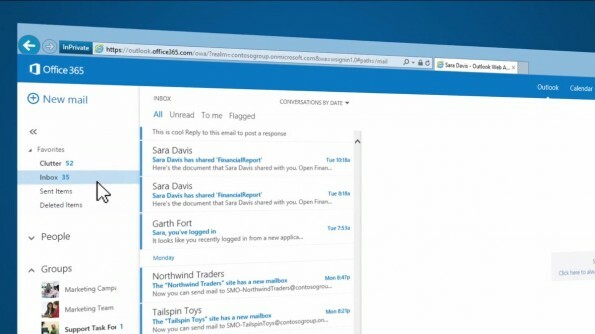 I am predicting that by the upcoming holiday season you will start seeing one or two “Microsoft Phones” released. The Nokia name, especially outside of the United States has been a very popular smartphone manufacturer and their branding, again outside of the United States has been very successful. With this being understood, Microsoft’s vision of building their own devices like the Xbox and Surface line needed to move to smartphones as well and Nokia was the right choice to purchase because Nokia also was the biggest supplier of Windows Phones worldwide. I was just thinking about the Microsoft Surface Pro 2. I know that makes me a little weird, but it is – what it is. The sales for Microsoft’s Surface line have been up and down and no one really knows how good or bad they are. But I can tell you this. I own a Surface Pro 2 and I really like it. I have been using a Surface Pro since October 2012, when they first arrived on the scene. With this hybrid tablet/laptop the person wanting to merge fun and work really can, with one device. With the Surface Pro I am able to use it in both my offices, on my easy chair, on the deck relaxing, on vacation and in meetings. It has enough power to act as a really good laptop and is small enough, especially with the magnetic keyboard removed to act as a tablet. With the keyboard attached you really can get some serious work done on your Surface Pro tablet. Unlike the iPad you have no limitations here. 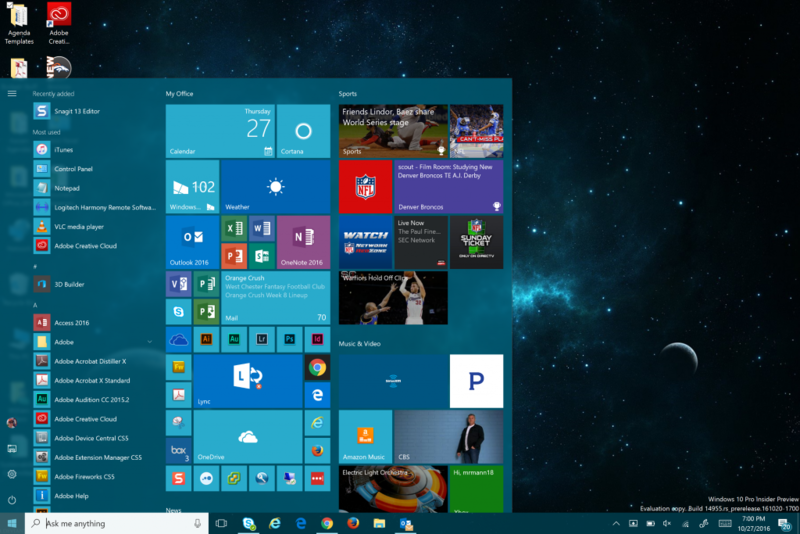 Any Windows application can be installed and it acts just like a laptop or PC, just a lot smaller and mobile. Now do not get me wrong, there is a place for the ipad and in fact I use one. But my use of the iPad is limited to email, reading articles and a game from time to time. When there is real work to be done especially when mobile, I turn to my Surface Pro every time. It seems I have been complaining for years about the silly requirement of turning off our mobile devices at landing and take off of airplanes. Good news may be just around the corner because we will eventually be able to continue using our mobile devices on takeoff and landing, according to the FAA. The American government organization overseeing air travel today announced that travelers won’t face regulations that are as strict as we have been accustomed to when it comes to electronics on planes. 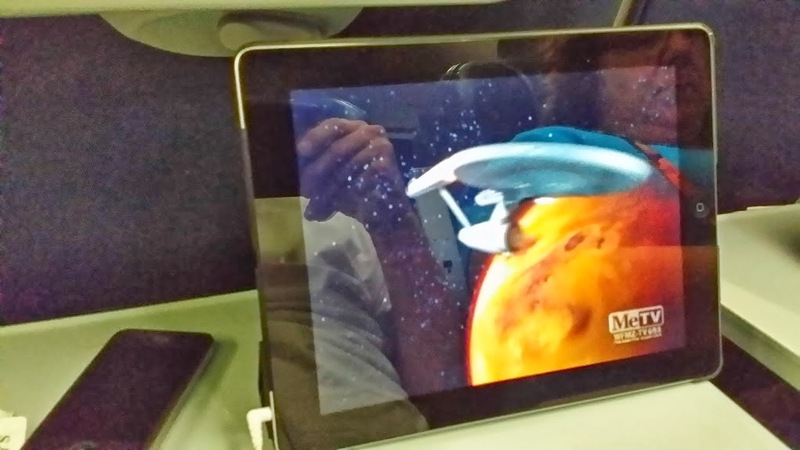 Soon I will be able to finish watching Star Trek as the plane lands! I will talk about “airplane mode” in more detail in a future article. It took a long time but the humble SIM card that sits within your phone, along with at least seven billion others, has finally been hacked. Of the seven billion modern SIM cards in circulation, it is suspected that hundreds of millions (yes, hundreds of millions) are susceptible. What does this mean? The hacks allow a would-be attacker to infect your SIM with a virus that sends premium text messages, or records your phone calls — and, in some cases, access the secure, sand boxed details stored on your SIM by mobile payment apps, giving a hacker access to your bank and credit card details. SIM cards are not merely a piece of laminated memory that stores the data that your phone needs to connect to a cellular network. In actuality, the SIM card in your phone is actually a small computer, with memory, a processor, and even an operating system. As you can see in the diagram below, there is a chip beneath those gold contacts, and on that chip there is a processor, ROM (firmware that stores the OS and SIM apps), EEPROM (which stores your phone book, settings, patches), and RAM (for use by the SIM’s OS and apps). In the photo below of a disassembled SIM card, you can clearly see that this is quite a complex computer chip. Unfortunately, like any computer chip that runs an operating system and apps, a SIM card can be hacked. In this case, modern SIM cards run a very simple OS that loads up Java Card — a version of the Java virtual machine for smart cards (of which SIMs are a variety of). Java Card essentially runs small Java applets, and each applet is encapsulated and firewalled (sandboxed) by the Java VM, preventing sensitive data from leaking to other apps. Your phone interacts with these apps via the SIM Application Toolkit (STK) to display information on your screen, and to interact with the outside world. To load apps onto the SIM or to update them, hidden text messages are sent by the carrier, containing over-the-air (OTA) programming in binary form. These messages are signed with a cryptographic key, so that the SIM knows that these messages have originated from a trusted source. Now, German security researcher Karsten Nohl has discovered a way of finding out that all-important cryptographic key. By sending his own OTA (over the air) SMS’s that aren’t signed with the correct key, he discovered that some phones pop up an error message that contains a cryptographic signature. Then, using rainbow tables (a list of plaintext keys/passwords and their encrypted equivalent), Nohl found he could discover the SIM card’s cryptographic key in about one minute. Once he had this key, he could send apps and viruses to the SIM card that can send premium text messages (racking up huge bills), re-route or record calls, collect location data — you name it, with access to the SIM, you can do just about anything. And if that was not enough Nohl also found a separate bug in Java Card, essentially an out-of-bounds error (asking for the sixth item in a list when the list only contains five items), that can give an app/virus full root access to your SIM card — effectively breaking out of the sandboxing provided by the Java Card VM. With root access, these malicious apps could then obtain any data stored on your SIM, including your address book, or sensitive banking details stored by mobile payment apps. According to Nohl, he estimates that out of 100 mobile phones, he could gain root access to the SIM card on 13 of them. SIM cards that use newer, stronger encryption (Triple DES), don’t appear to be susceptible to these attack vectors. Verizon and AT&T say they are not vulnerable to the vulnerabilities exposed by Nohl. In essence, mitigation of this attack comes down to the encryption standard used by your SIM card — so if you use a SIM that’s more than a few years old, you should probably get a new one. Most carriers will provide a new SIM if you ask and I would bet especially if you mentioned your knowledge of this new problem.